With all the news of late about the elections, students should learn some history of voting in the United States. Today’s young people may find it hard to believe that women did not have the right to vote when voting originated. In fact, it took almost 100 years from the time they began the fight until they had the right to vote. Begin by reading your choice of books about one of the women who lead the fight for voting. Explain that when the Declaration of Independence was written it stated, “All MEN are created equal." and men took that phrase literally. Why did men think it was silly or a waste of time for women to vote? Our assignment will be to learn more about this time in history. Normally you would not pit boys against girls in an activity but in this case, it may be more powerful to do so. 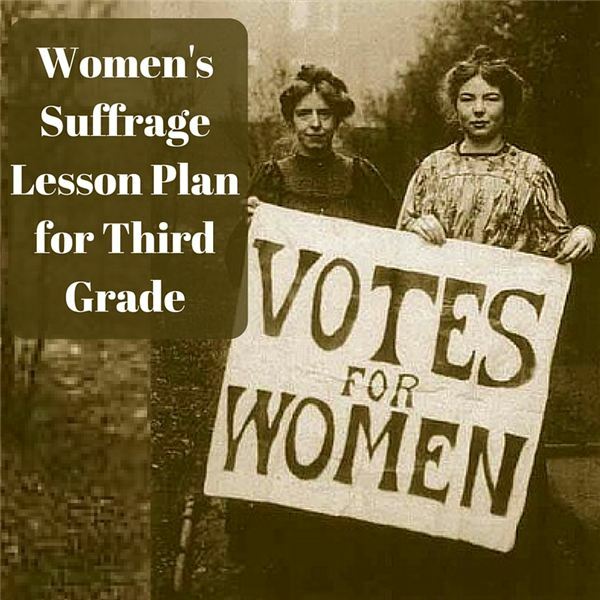 The girls will learn about the important women fighting for the right to vote. The boys will learn about some of the men and organizations that were against this cause. What were their reasons? Then they will assume roles of some of these people and have a debate. Some students on each side can make posters defending the cause. Groups will decide how to present their side of the issue. Perhaps some can be news reporters. What did they do to try to win the right to vote? Write a news article with facts about the fight for the vote. Write a news article with facts about the fight against the vote. The teacher will be the debate moderator so that the students stay on topic and are respectful. Prepare a few students from each side to take turns standing up and presenting their views. Set a time limit. Students may hold supporting posters. At the end of the debate, take a vote to see how many students would have fought for the women’s right to vote. Hopkinson, Deborah. Susan B. Anthony: Fighter for Women’s Rights. Simon Spotlight, 2005. Stone, Tanya Lee. Elizabeth Leads the Way: Elizabeth Cady Stanton and the Right to Vote. Henry Holt and Company, 2008. Bausum, Ann. With Courage and Cloth: Winning the Fight for a Woman’s Right to Vote. National Geographic Society, 2004. White, Linda. I Could Do That: Esther Morris Gets Women the Vote. Farrar, Straus and Giroux, 2005.